1.4 “Contract” means any contract for the sale of Goods by the Seller to the Buyer to which these conditions apply. 1.6 “Confirmation of Order” means a written confirmation of acceptance of the Buyer’s Order sent by the Seller to the Buyer. 1.8 Reference to any statute or statutory provision includes reference to the statute or statutory provision as from time to time amended extended or reinacted. 1.9 “Express Service” means delivery of the Goods effected by the Seller in accordance with extraordinary or urgent delivery requirements made by the Buyer to the Seller. 1.10 “Conditions” means the terms and conditions of sale set out in this document and any special terms and conditions agreed in writing by the Seller to the Buyer. 1.11 “Commissioning” means the carrying out of checks and adjustments to the operating components of the Goods. Such checks and adjustments to be made in accordance with the instructions supplied by the manufacturers of the various components of the Goods with the object of ensuring that the Goods function correctly. These conditions apply to all sales of Goods and supply of service by the Seller to the Buyer and shall apply in place of and prevail over any representations terms or conditions contained or referred to in an Order or in correspondence or elsewhere or implied by a trade custom practice or course of dealing or made orally unless specifically agreed to in writing by a Director of the Seller and any purported provisions to the contrary are hereby excluded or extinguished. Any reference overleaf to the Buyer’s order, specification or like document will not be deemed to imply that any terms or conditions endorsed upon, delivered with or referred to in such order, specification or like document, will have effect to exclude or amend these conditions. 2.2 Any special terms granted by the Seller in respect of any one Order are not applicable to any subsequent Order without the express consent in writing of a Director of the Seller. 2.3 If a particular provision contained in these conditions is illegal, invalid or unenforceable either in full or in part the remaining conditions will not be prejudiced and the parties agree that any offending provision will be replaced by one which comes closest in economic terms to the function and purpose of the offending provision without thereby rendering it illegal, invalid or unenforceable. 2.4 All Orders for Goods shall be deemed conclusive evidence of the Buyer’s acceptance of these Conditions. 3.1 Any quotation is given on the basis that no contract will come into existence until the date the Seller has dispatched a Confirmation of Order to the Buyer either by post or facsimile or email/electronic transmission. 3.2 A quotation by the Seller does not constitute an offer and the Seller reserves the right to withdraw or revise the same at any time prior to the Seller’s Confirmation of Order being dispatched. 3.3.4 delivery where such delivery is made using an HIAB Crane or tail lift vehicle. 3.4 Quotations shall include the cost of one delivery except in the circumstances specifically excluded in these terms and conditions of sale. The Seller reserves the right to make at any time such changes in design, construction, composition, materials, arrangement or equipment as it shall think fit without notifying the Buyer provided that such changes do not in the reasonable opinion of the Seller affect the suitability of the Goods for the purpose for which they are supplied by the Seller. 5.1 The Buyer assumes the responsibility that the Goods are suitable for his purpose. 5.2 Unless expressly agreed in writing by the Seller all drawings, designs, specifications and particulars of weights and dimensions submitted by the Seller are for guidance only and the Seller shall have no liability in respect of any deviation there from. Any performance figures given by the Seller are based upon the Seller’s experience but the Seller accepts no liability for any failure to obtain any performance figures quoted by him unless expressly and specifically guaranteed by the Seller in writing. 5.3 All patterns, drawings, designs or specifications, tools or similar items supplied by the Seller under or in connection with any quotation or Contract shall remain the property of the Seller and the Buyer shall not copy or use them without the consent of the Seller and shall comply with the Seller’s requirements as to their use, return and otherwise. 5.5 The Seller will be under no liability whatsoever to the Buyer in respect of any loss, damage or claim incurred by or made against the Buyer should any goods supplied by the Seller infringe any intellectual property right including without prejudice to the generality of the foregoing patents registered designs and copyright or the provision of any statute, statutory instrument or regulation. 5.6 No drawings, descriptive matter, weights, dimensions or shipping specifications issued by the Seller or the manufacturer of the Goods, nor the descriptions and illustrations contained in the Seller’s or manufacturer’s catalogues, or other promotional material will form part of the Contract nor be regarded as a warranty or representation relating to the Goods. 6.1 Save as otherwise agreed the price of Goods shall be derived from the Seller’s price list current at the time of delivery or if Goods are not delivered, the date Goods are ready for delivery. The Seller shall have the right at any time prior to delivery to revise prices, to take into account increases in its costs including costs associated with any variation in exchange rates. The prices do not include the cost of delivery unless specifically included in the terms and conditions agreed by a separate document. The costs of carriage by the Seller’s “Express Service” where requested by the Buyer or of carriage to an address outside the mainland of England, Wales or Scotland where requested by the Buyer are not included and if provided by the Seller shall be charged at the Seller’s rates then prevailing and added to the Contract price. 6.2 Unless expressly stated otherwise all prices are exclusive of VAT and any other tax or duties which may be charged at the rate and in the manner prescribed from time to time. 7.1 If credit terms have been agreed payment of invoice shall be made within 30 days of the date of the invoice unless otherwise agreed in writing. Time for payment shall be of the essence. In the absence of an agreed credit facility all goods must be paid for before delivery. 7.2 The Buyer may not withhold payment in whole or in part of any invoice or other amount due to the Seller by reason of any right of setoff or counterclaim which the Buyer may have or allege to have (whether statutory or otherwise) or for any reason whatsoever. 7.3 Where the Buyer makes default under the Contract or any other contract with the Seller in payment on the due date of any sum due to the Seller, the Seller without liability may postpone any delivery or may cancel the Contract or any other contract between the Seller and the Buyer but without prejudice to any right or remedy which the Seller may have against the Buyer in respect of such default. 7.4 If payment is not made on or before the date specified in clause 7.1 the Seller shall be entitled to charge interest on the outstanding amount at a monthly compound rate of 1.5% such interest being deemed to accrue from day to day calculated from the date payment was due until the actual date of payment. 7.5 Notwithstanding any term allowing the Buyer credit, payment shall become due and payable to the Seller immediately upon termination of the Contract, howsoever caused. 7.6 The Seller shall at any time be entitled to appropriate any payment made by the Buyer in respect of any goods in settlement of such invoices or accounts in respect of such goods as the Seller may in its absolute discretion think fit notwithstanding any purported appropriation to the contrary by the Buyer. “The New Goods” means goods produced by the Buyer converting, incorporating or mixing the Goods with other goods prior to the property in the Goods passing to the Buyer and includes any of them and part of them “The Supplied Goods” means the Goods and the New Goods and includes any of them and any part of them. 8.3.2 payment to the Seller of any sum which is at the date of the Contract of may thereafter become due or owing from the Buyer to the Seller. 8.4 Until property in the Supplied Goods has passed to the Buyer or until delivery of the Supplied Goods to a third party pursuant to the permission given below, the Buyer will hold the Supplied Goods in a fiduciary capacity, will not obliterate any identifying mark on the Supplied Goods or their packaging and (save where the Goods are being converted or incorporated into or mixed with other goods to create New Goods) will keep the Supplied Goods separate from any other goods. 8.5 Prior to the property in the Supplied Goods passing to the Buyer the Seller permits the Buyer to deliver the Supplied Goods to a third party pursuant to a bona fide and armslength agreement to sell the Supplied Goods but such liberty will cease upon the termination of the Contract. 8.6 The Buyer’s liberty to convert or incorporate the Goods into or mix the Goods with other goods and the Buyer’s liberty to deliver the supplied Goods to a third party shall cease upon the termination of the Contract. 8.7 Where the Seller is unable to determine whether any goods are the Goods the Buyer shall be deemed to have converted incorporated mixed or sold all goods of the kind sold by the Seller to the Buyer in the order in which they were invoiced to the Buyer and any new goods so created shall be deemed to have been delivered to the Buyer’s customers in the order in which they were created. 8.8 8.8.1 The Seller may at any time after payment for the Goods has become due take possession of the Supplied Goods (which for the avoidance of doubt will include the right to stop the Goods in transit) and remove them and the Buyer shall be deemed to have granted irrevocable authority to the Seller to enter upon the Buyer’s premises or other premises where the Supplied Goods may be by its employees or agents to take possession of the Supplied Goods and (if necessary) to dismantle the Supplied Goods from anything to which they are attached. 8.8.2 If prior to the expiry of 7 days from the date when the Seller has taken possession of the Supplied Goods the Buyer pays all sums then due or owing to the Seller together with the costs of taking possession of the Supplied Goods, the Seller will redeliver the Supplied Goods to the Buyer at the Buyer’s expense. If within the 7 day period the Buyer fails to pay all sums then due or owing to the Seller, the Seller may sell the Supplied Goods and shall pay to the Buyer the balance of any sums received upon the sales of the Supplied Goods after deducting all sums due or owing from the Buyer to the Seller and the costs of taking possession of and selling the Supplied Goods save that if the sums so received by the Seller do not exceed all sums due or owing from the Buyer to the Seller and the costs of taking possession of and selling the Supplied Goods the Buyer will pay to the Seller any shortfall. 8.9 If the Buyer sells the Supplied Goods before the property in them passes to the Buyer, the Buyer will promptly account to the Seller for the proceeds of any such sale, and prior to paying such proceeds to the Seller, the Buyer will hold the same in a fiduciary capacity keeping the same separate from its other moneys. On receiving such proceeds the Seller will return to the Buyer any sum received in excess of the total of all sums due or owing from the Buyer to the Seller at the date of receipt by the Seller of such proceeds of sale. 8.10 The Seller will have the right to maintain an action against the Buyer for the price of the Goods notwithstanding that property in the Goods has not passed. 8.11 Nothing in the Contract will constitute the Buyer the agent of the Seller in respect of any sale of the Supplied Goods by the Buyer as to confer upon third party rights against the Seller. 8.12 For the avoidance of doubt, the Supplied Goods shall be at the Buyer’s risk from delivery. 9.1 Any date named by the Seller for dispatch or delivery is given and intended as an estimate only and is not to be the essence of the Contract. The Buyer shall nevertheless be bound to accept the goods ordered on or after the date stated. 9.2 The Seller shall in no case be liable for any loss suffered directly or indirectly by any delay in delivery howsoever caused, and unless delay in delivery exceeds 60 days it shall not be sufficient cause to entitle the Buyer to terminate or rescind the Contract. Where drawings, specifications, instructions and materials are to be supplied by the Buyer, the Buyer shall supply the same as expeditiously as possible to enable the Seller to dispatch the Goods within the period named. 9.3 The Seller shall in no case be liable to the Buyer for any loss or damage which may be suffered by the Buyer as a direct or indirect result of the supply of Goods by the Seller being prevented, hindered, delayed or rendered uneconomic by reason of circumstances or events beyond the Seller’s reasonable control including but not limited to Acts of God, governmental action, war, riot, strike, lockout, trade dispute or labour disturbance, accident, break down of plant or machinery, fire, flood, storm, delays affecting shipping or carriers, currency restrictions, difficulty or increased expense in obtaining workmen, materials or transport or other circumstances affecting the supply of the Goods or of raw materials therefore by the Seller’s normal source of supply or the manufacture of the Goods by the Seller’s normal means or the delivery of the Goods by the Seller’s normal route or means of delivery. 9.4 Should any of the circumstances specified in clause 9.3 occur the Seller shall be entitled without liability and at its option (to be notified to the Buyer in writing) either to cancel the Contract so far as it relates to the Goods not then supplied or work not then done, or to extend the time of its performance by a period equivalent to that during which performance by the Seller has been prevented by the circumstances hereinbefore referred to. In the event of such cancellation, the Buyer shall remain liable to pay for Goods delivered prior to the date of such cancellation. 9.5 Where the Goods are to be delivered to a site specified in the Seller’s acknowledgement of Order the obligation of the Seller is to deliver only as near to the site as a safe hard road permits. The Buyer is to provide to the Seller or its agents, free of charge, such assistance in unloading as is reasonably necessary. Where the Goods are not to be delivered to such a specified site delivery will be made ex the Seller’s works and the Contract price is calculated on that basis. 9.6 If the Buyer cancels, extends or delays or purports to cancel, extend or delay the Contract of part thereof, or fails to take delivery or any Goods at the time agreed (if any) or if no time is agreed within a reasonable time, but in any event not more than 14 days after the Seller has notified the Buyer in writing that the Goods are ready for delivery, then the Buyer will be liable (without prejudice to any other rights of the Seller to claim damages) to indemnify and keep indemnified the Seller against any resulting loss, damage or expense incurred by the Seller in connection with the supply or nonsupply of the Goods including the cost or any materials, plant or tools used or intended to be used there for and the cost of labour and other overheads including a percentage in respect of profit. 9.7 If the Buyer fails to take delivery of the Goods when they are ready for delivery the Seller may, as its option, either store or have them stored by third parties on such terms as the Seller may in its absolute discretion think fit. In any event the costs of storage will be borne by the Buyer and insofar as the storage is done by the Seller then such cost will be the Seller’s storage charges current at the time of storage. The cost together with any additional insurance or double handling charges will be added to and form part of the price for the Goods. 9.8 The Seller may make delivery by installments. The Seller will be entitled to payment for all installments of Goods delivered and/or tendered to the Buyer including for the sake of clarity payment for Goods where the Buyer fails to take delivery. Where spare parts are to be delivered in addition to the goods or subsequent delivery of the goods, each such delivery shall constitute a separate contract and failure by the Seller to deliver any more of the spare parts in accordance with these conditions or any claim by the Buyer in respect of any one or more of the spare parts shall not entitle the Buyer to treat the Contract as a whole as repudiated. 9.9 No claim for damages or shortages will be considered unless the Seller is advised in writing within 8 days of delivery and attaches to the claim a copy of the appropriate delivery note and invoice. In the absence of such advice the Buyer will be deemed to have accepted the Goods. No claim for non delivery will be considered unless the Seller is advised in writing within 14 days of the date of the Seller’s invoice. Any claim for damage, shortages, or nondelivery shall also be notified to any carriers by the Buyer in the manner and within the appropriate time limit prescribed by the carrier’s terms and conditions. 9.10 It shall be the sole responsibility of the Buyer to ensure that adequate access is available at the Buyer’s premises for the Seller’s delivery vehicle. Any additional costs incurred by the Seller due to the failure of the Buyer to ensure adequate access to the Buyer’s premises will be added to and form part of the price for the Goods. 9.11 The date of delivery shall be extended by a reasonable period of time in respect of any delay in the supply of drawings, specifications, instructions or materials by the Buyer to the Seller. 9.12 It shall be the sole responsibility of the Buyer to ensure that it has complied with any site requirements and conditions which may be supplied by the Seller to the Buyer from time to time prior to delivery of the Goods, and for the purpose of clarity such site requirements and conditions are incorporated into these terms and conditions of sale. Notwithstanding any other condition, risk in the Goods shall pass to the Buyer when the Goods are delivered to the Buyer or its agent. 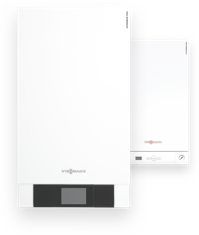 11.1 The Seller will endeavour to transfer to the Buyer the benefit of any warranty or guarantee given by a manufacturer of any component forming part of the Goods who does not belong to the Viessmann group. 11.2.1 the Goods have been subject to any corrosion and/or deposits how so ever caused including water corrosion and/or water borne deposits due to variations in water quality outside those standards recommended by the Seller. 11.2.6 the Buyer is in breach of this or any other contract made with the Seller. Any components replaced will belong to the Seller. Any required or replacement components will be guaranteed on these terms for the remainder of the Warranty Period only. 11.3.2 when the Buyer deals as a consumer (as defined in Section 12 of the Unfair Contract Terms Act 1977), any implied term relating to the conformity of the Goods with their descriptive or sample or as to their quality or fitness for a particular purpose. 11.4 In no circumstance will the Seller or its employees, agents or subcontractors be liable to the Buyer or any third party for any loss or damage of any kind whatsoever (other than death or personal injury resulting for the Seller’s negligence) whether consequential or otherwise caused directly or indirectly by any negligence on the part of the Seller or on the part of any of its employees, agents or subcontractors in connection with or arising out of the manufacture or supply the Goods or in connection with any statement given or made (or advice not given or made) by or on behalf of the Seller. 11.5 The Seller’s aggregate liability to the Buyer whether for negligence, breach of contract, misrepresentation or otherwise shall be limited to damages and under no circumstance shall the liability of the Seller exceed the contract price of the Goods. 11.6 All implied terms, conditions and warranties relating the quality and/or fitness for purpose of the Goods or any of the Goods are hereby excluded (so far as the law allows). 11.8 The Seller reserves the right not to proceed with the Commissioning of the Goods where the services supplying the site of the Goods or the access to the Goods is in the Seller’s reasonable opinion inadequate. 12.1 The Contract will terminate immediately upon the happening of any one or more of the following, namely, that the Buyer has had a bankruptcy order made against him or has made an arrangement or composition with his creditors or otherwise taken the benefit of any Act for the time being in force for the relief of insolvent debtors or (being a body corporate) has had convened a meeting of creditors (whether formal or informal) or has entered into liquidation (whether voluntary or compulsory) except a solvent voluntary liquidation for the purpose only of reconstruction or amalgamation or has a receiver manager administrator or administrative receiver appointed of its undertaking or any part there of or a resolution has been passed or a petition presented to any Court for the winding up of the Buyer or for the granting of an administration order in respect of the Buyer or any proceedings have been commenced relating to the insolvency or possible insolvency of the Buyer. 12.2 The Contract will terminate immediately upon service of written notice of termination by the Seller on the Buyer on the happening of anyone or more of the following namely that the Buyer has suffered or allowed any execution whether legal or equitable to be levied on his/its property or obtained against him/it or has failed to observe or perform any of its obligations or duties under the Contract or any other contract between the Seller and the Buyer or is unable to pay its debts within the meaning of Section 123 of the Insolvency Act 1986 of the Buyer has ceased to trade. 12.3 The Seller’s rights contained in the clause headed “Property in the Goods” (but not the Buyer’s rights) shall continue beyond the discharge of the parties’ primary obligations under the Contract consequent upon its termination by the Seller for breach by the Buyer. 12.4 The termination of the Contract howsoever arising will be without prejudice to the rights and duties of either party accrued prior to termination. Clause headings are inserted in these conditions for ease of reference only and do not form part of the Contract for the purpose of interpretation. The information, interpretation and operation of the Contract shall be governed by and construed in accordance with English Law and the Buyer hereby submits himself to the non exclusive jurisdiction of the English Courts. 15.1 The Seller will be entitled to assign subcontract or sublet the Contract or any part thereof. 15.2 Failure by the Seller to enforce any of these conditions will not be construed as a waiver of any of its rights hereunder. 15.4 If the Buyer defaults in accepting delivery of or paying for the Goods, the Seller reserves the right to resell the Goods or any of them to a third party without giving notice to the Buyer of the Seller’s intention to resell. 15.5 The Seller will (without prejudice to any other remedy available to it) have in respect of all unpaid debts due from the Buyer a general lien on all property of the Buyer in the possession of the Seller for whatever purpose and whether worked upon or not and be entitled on the expiration of not less than 14 days notice in writing to the Buyer to dispose of such property and to apply the proceeds towards the satisfaction of such debts. 15.6 If the Buyer defaults in respect of any of its obligations in these Conditions or under any other special conditions agreed in writing by the Seller then the Seller will be entitled without prejudice to any other remedy it may have to suspend performance of the contract. 15.7 None of the provisions of these Conditions are intended to or will operate to confer any benefit (pursuant to the Contracts (Rights of Third Parties) Act 1999) on a person who is not named as a party to this agreement.